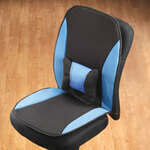 Swivel car seat turns a full 360º to assist with sitting in the car or any other seat that’s difficult to navigate. 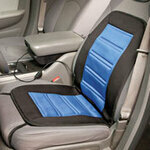 Foam car seat cushions your body in comfort and has a non-slip backing. ABS foam filling. Polyester cover; spot clean. 1/4"Hx16"dia. 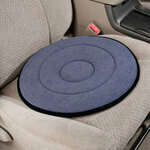 Leather lumbar cushion for car relieves backache and fatigue so you drive or ride in luxurious comfort! 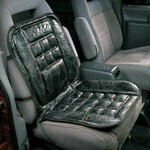 Relax in supple patchwork leather that looks as rich as it feels, with back support, subtle contours and padded wings. 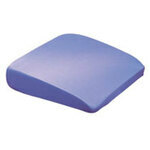 Lumbar support cushion fits auto or office chair; measures 18" x 39".